When most people plan a vacation, they primarily focus on choosing a destination, where they'll either enjoy ample sightseeing opportunities or have the ability to relax and bask in the sunlight. Once they've picked the perfect location, travelers need to take care of the little things, such as booking flights, mapping out a daily schedule, and finding a hotel to stay in. 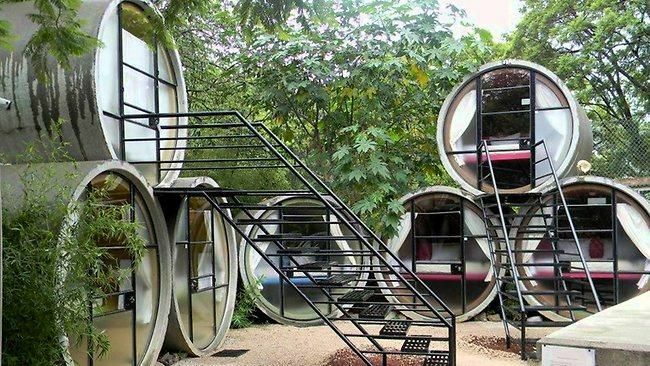 But instead of staying in bland accommodations, plenty of vacationers have become curious about lodging in unusual hotels - which can be a vacation all on its own. Curious to see what kind of spots am I talking about? Take a look inside these 10 unconventional hotels from across the world. For everyone who considers themselves a little bit of a hermit, one hotel in Sweden will be right up your alley - or should we say mine? 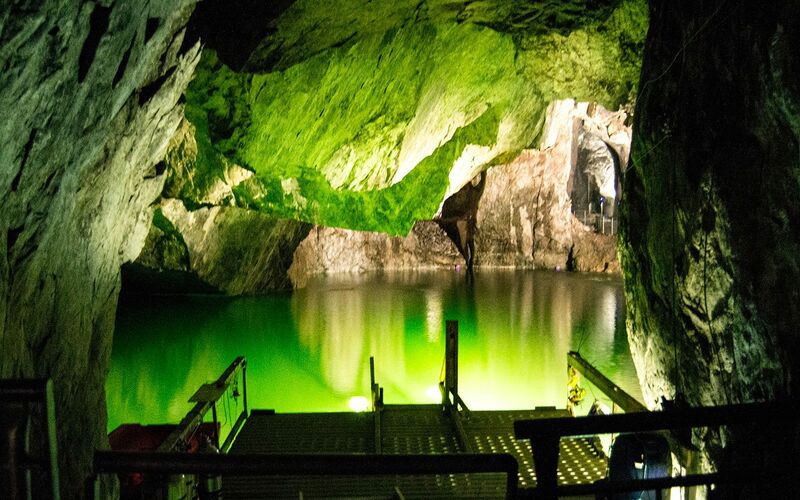 Sala Silvermine Mine is 155 meters below ground and is considered "the world’s deepest suite." Due to its location (and lack of natural light), the hotel is chillier than most, so guests should be warned to bring warm clothes far in advance. You also won't be able to get cell phone service while that deep underground, but you'll be treated with Swedish chocolates, cheese, biscuits, fruit, and sparkling wine to make up for it. If this sounds like something you'll enjoy, get out your wallet because it'll cost you $582 a night. 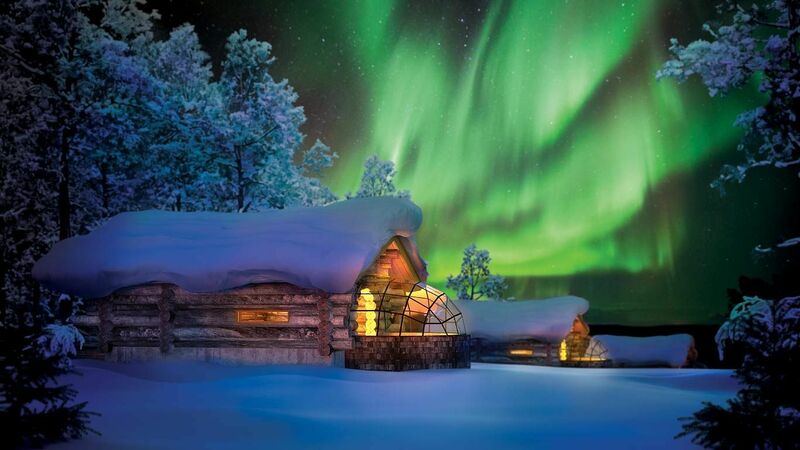 One of the most beautiful sights everyone should see at least once in their lifetime are the northern lights, which can be viewed from the Finnish Lapland. While it may be a long way from home, Hotel Kakslauttanen will provide you with the most memorable experience. 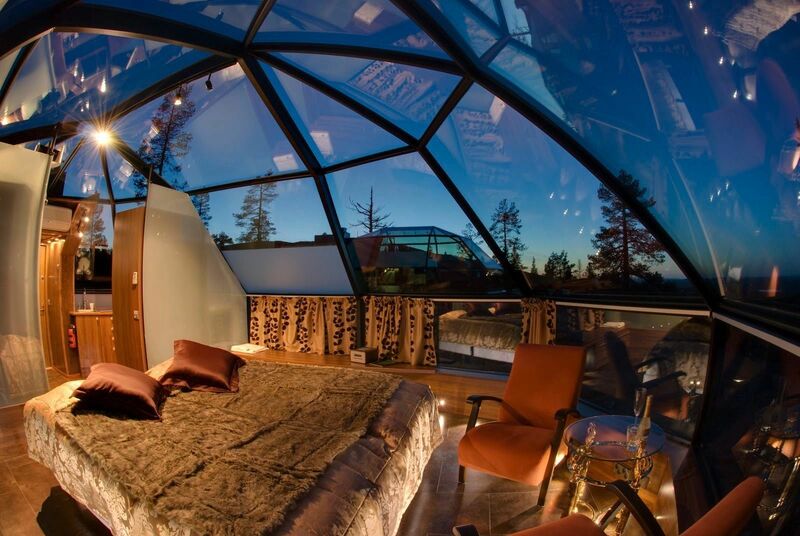 Located in the Arctic Circle, this hotel consists of glass igloos that come with their own toilet and enough room for two. The hotel offers several activities, such as husky and reindeer safaris, snowmobiling and cross-country skiing. If this doesn't seem like your idea of fun, there are also saunas and their own restaurant that makes Laplandic specialty meals. If you want to stay at Hotel Kakslauttanen for a night, get ready to dish out a pretty penny, as it'll cost you $444. 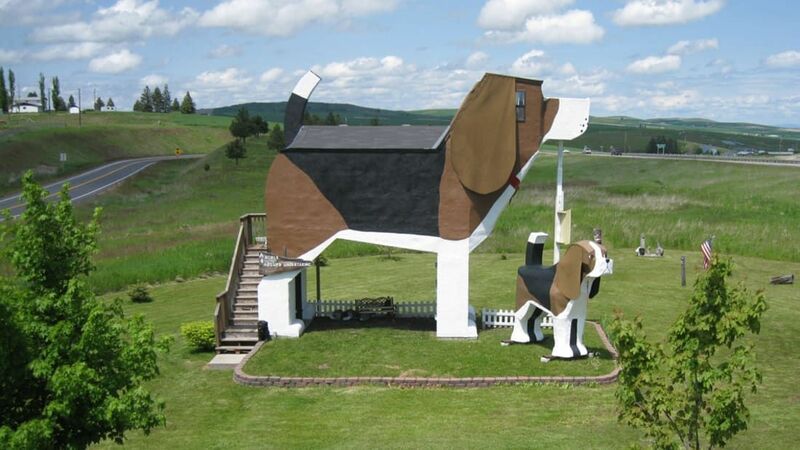 Calling all dog lovers, we have the perfect bed and breakfast for you. 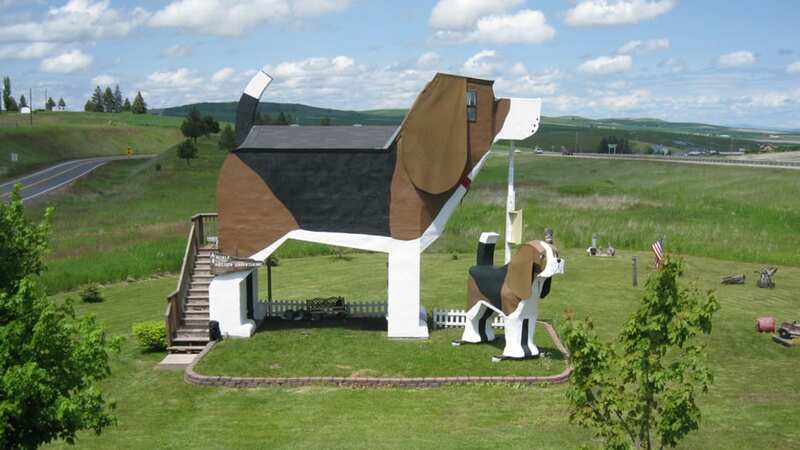 Located in Cottonwood, Idaho, visitors have the opportunity to stay in the beagle-shaped lodging, which is filled with even more dog decorations on the inside. 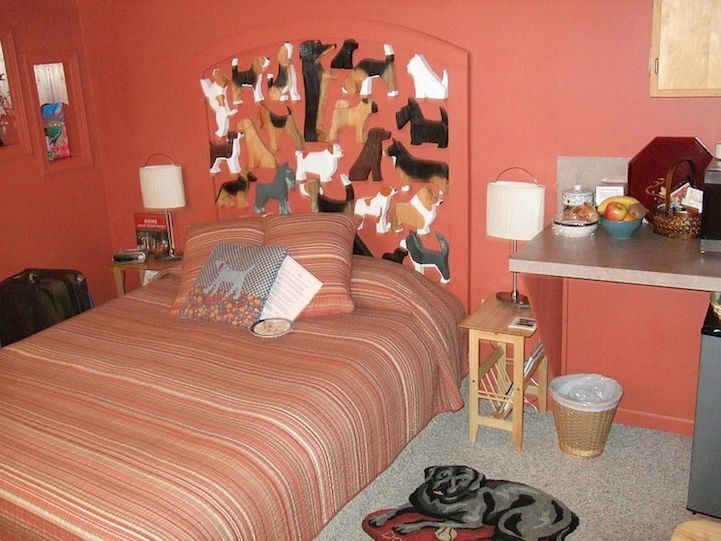 While this B&B only has two bedrooms (one with a queen-sized bed and another with two twin mattresses), it does includes 26 carved dogs and dog-shaped cookies for the guests to enjoy. 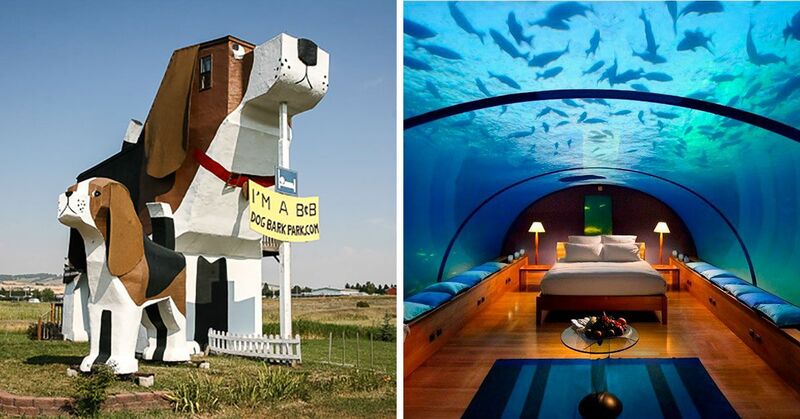 If you always wanted to stay in a dog house, it'll only cost you between $92 to $98 per night. 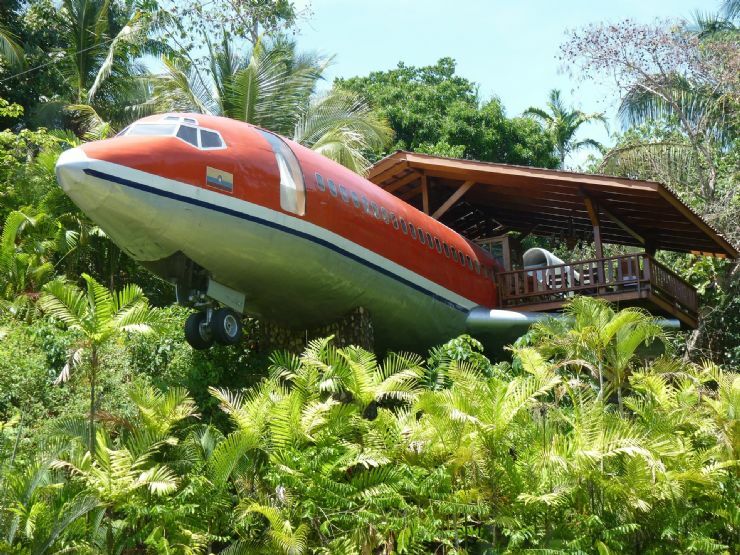 If you've ever wanted to be on a plane but are scared of flying, this Costa Rica resort will give you the best of both worlds. 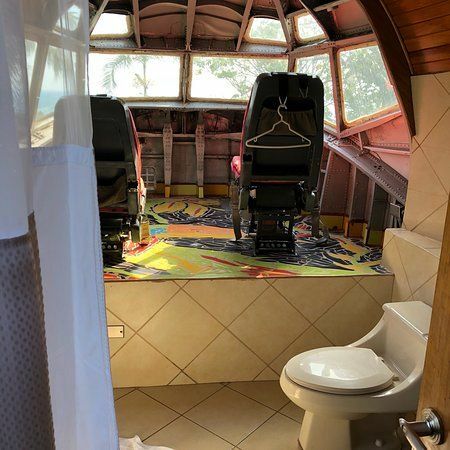 Hotel Costa Verde offers two luxury suites in a reused 1965 Boeing 727 airplane, with a remodeled interior, which is paneled with teak. The hotel is 50 feet above ground, where guests have an amazing view of both the surrounding jungle and ocean. The two bedrooms at Hotel Costa Verde come with air-conditioning, a kitchenette and their own private bathroom, which costs about $200 per night. 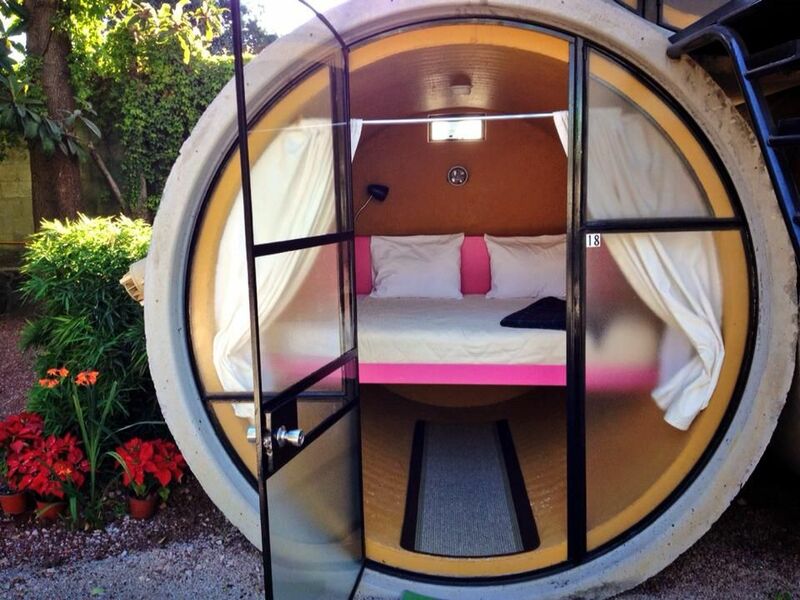 If you're looking for a kooky experience in Mexico, TuboHotel will definitely deliver. 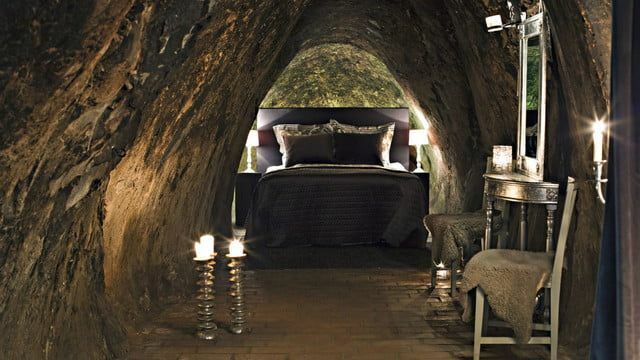 Despite the fact that these rooms are made out of concrete drainpipes, guests will enjoy comfortable accommodations with a queen-size bed and mountain view. Although the room also comes with a lamp, fan, and storage area, visitors must use the public bathroom if they really need to go. Although the lodgings aren't luxurious, the hotel does offer cooking classes with a celebrity chef to get you through the day. If this sounds like the perfect getaway for you, it'll only cost you about $30 per night (and $50 on weekends). Since Japan is a small country with more than a 127 million residents, space has become limited, even for tourists. So Osaka Capsule Inn came up with the clever idea of creating a hotel that offers its guests tiny pods instead of an actual bedroom. 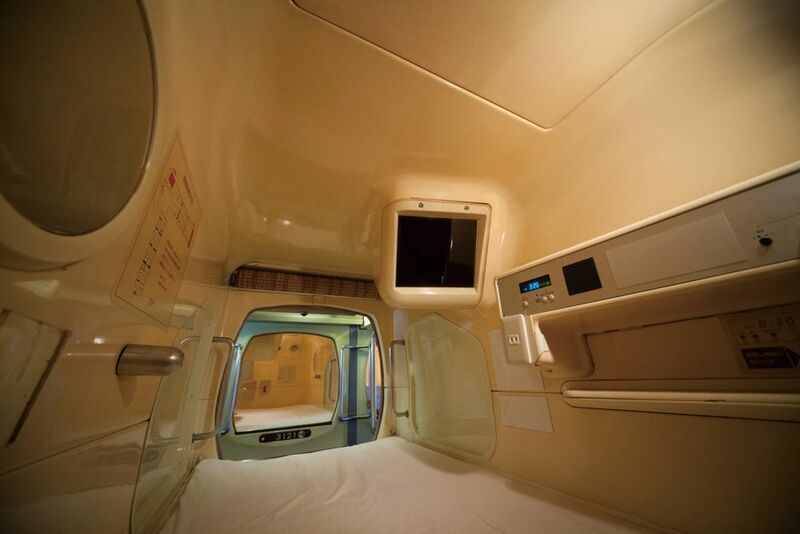 Each capsule comes with an interior control panel that allows the guests to set their individual "room" temperature. 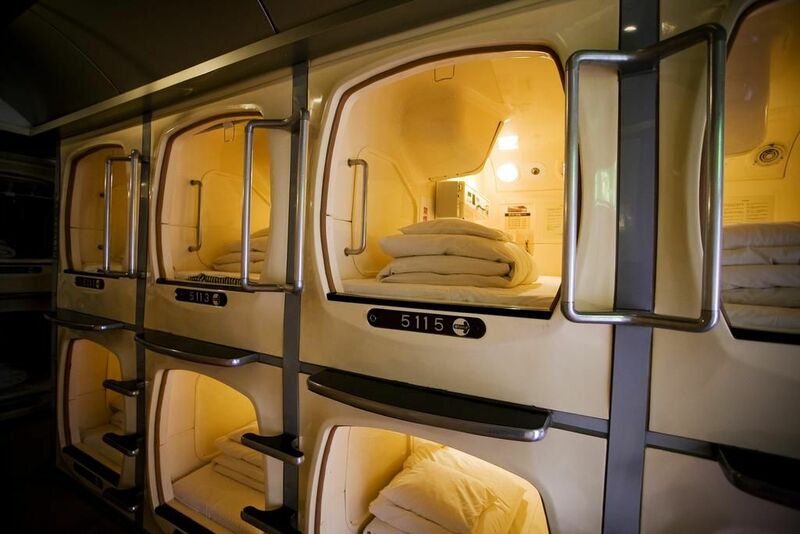 Don't worry about spending a fortune either, because this sleeping arrangement only costs guests around $75 per night. 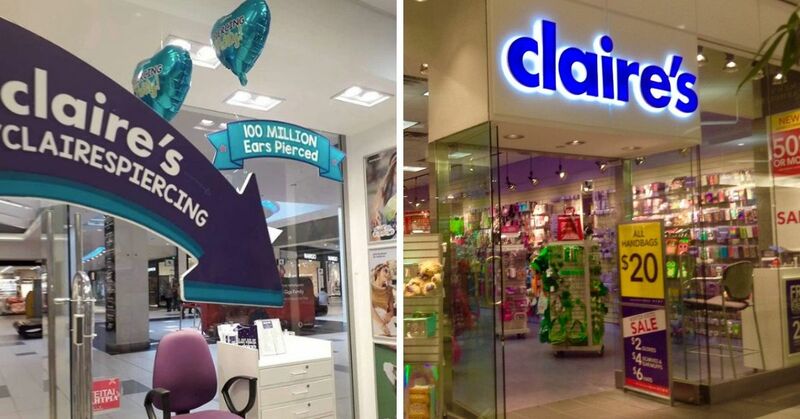 You can figure out if it's a good deal or not while you're stuck in your pod. As it turns out, you don't have to be a criminal to stay in a correctional facility anymore. 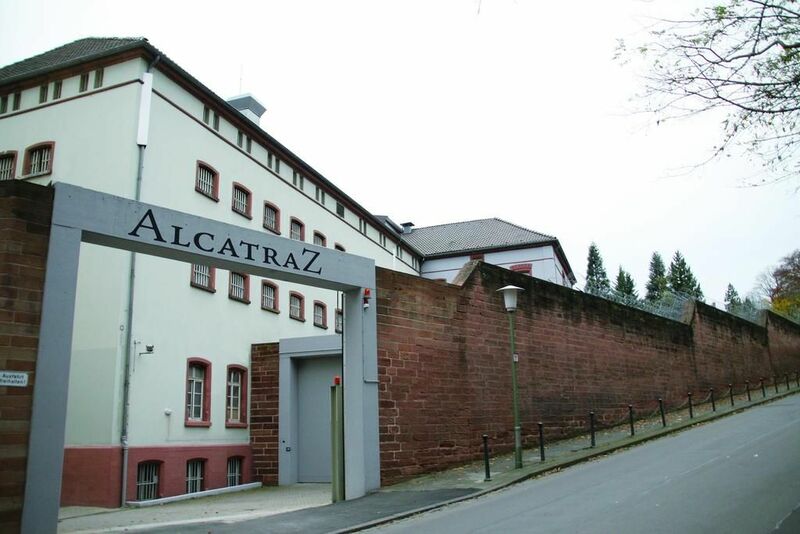 If you're curious about prisons and plan on visiting Germany, staying at the Alcatraz Hotel is a great option for you. The former jail offers their guests their own pair of striped pajamas for their stay and have a restaurant and meeting room on site. Even though this hotel offers accommodations that are more comfortable than living in an actual prison, guests get to stay in jail cells complete with vertical metal bars. At only $55 for a single room each night, it's an experience you'll regret missing out on. 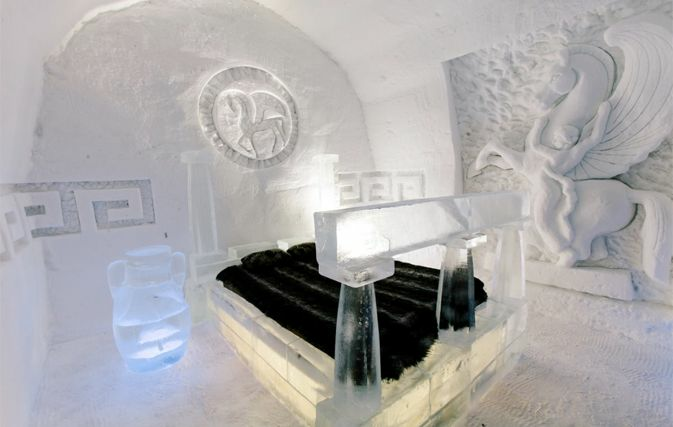 If you're someone who loves the cold and is always up for an adventure, try checking out Hotel de Glace, located in Quebec City, Canada. This igloo hotel is constructed from thick pieces of ice, where the only heat comes from the bathrooms or the fireplaces in the bedrooms. 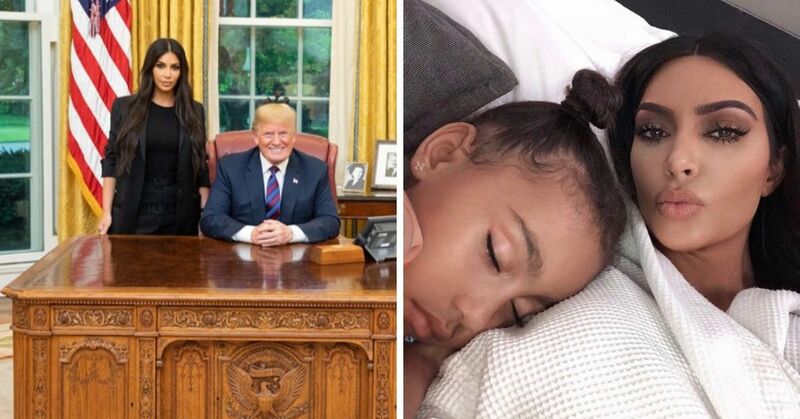 The hotel offers an exclusive "Winter Escape" package that consists of a dog sledding trip, a buffet package, hot chocolate for two, and one winter activity. Prices start at $380 per night and per couple. 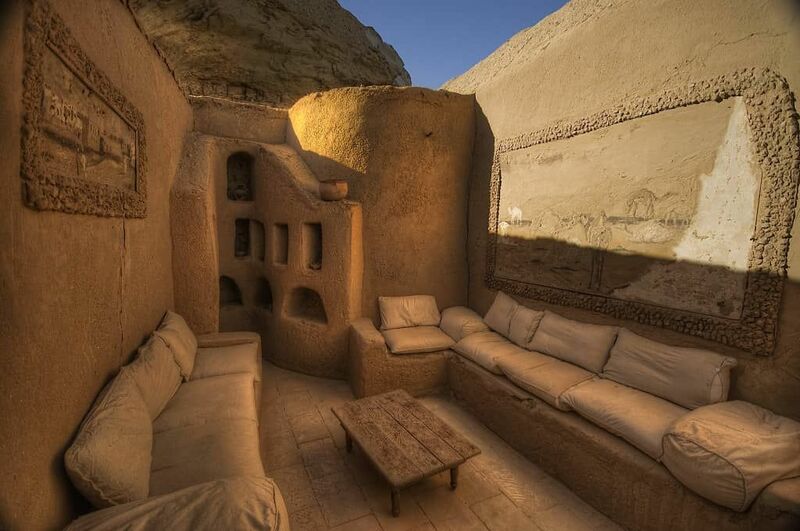 If you plan on going to Egypt, why not take your trip up a notch by staying in a hotel completely made out of salt rock and mud? 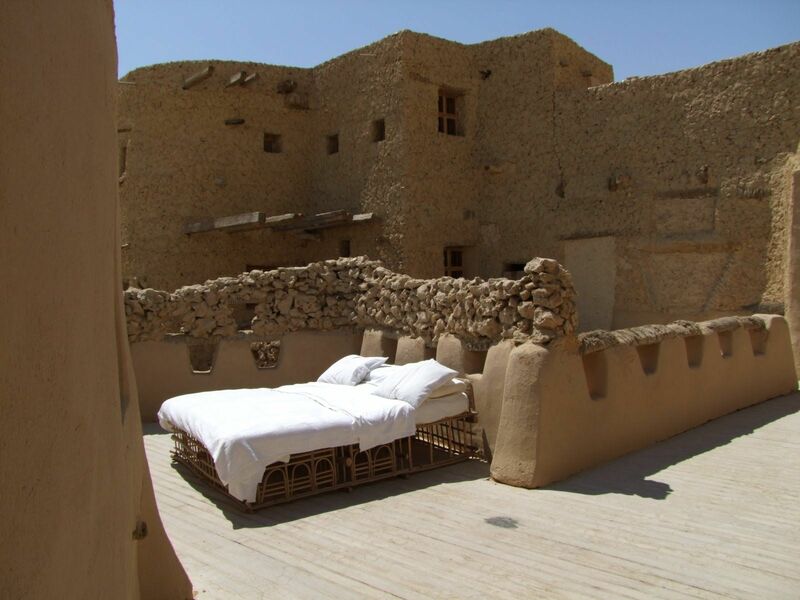 The Adrere Amellal is situated in the Siwa Oasis, which is about eight hours away from Cairo, the country's capital. While this eco-lodge doesn't have any electricity, all 40 rooms are provided with plenty of candles, and guests are treated to fresh meals straight from the hotel's organic garden. The staff also add to the atmosphere by dressing in flowing hooded robes. 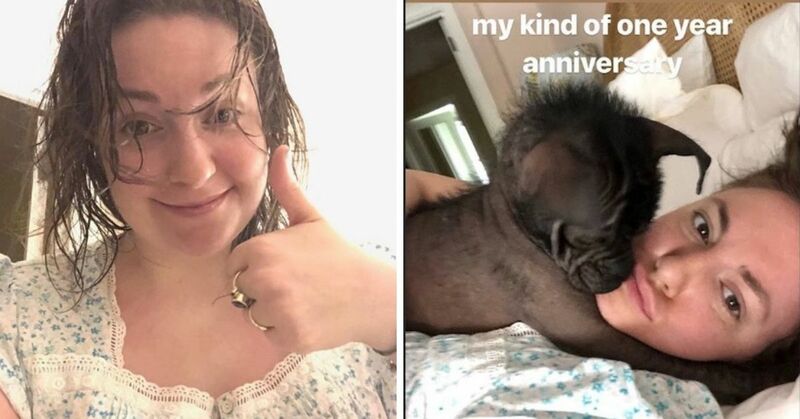 Talk about making a scene. Although the price to stay at this hotel varies depending on the time of year and what kind of room you want, a single night typically costs around $600. 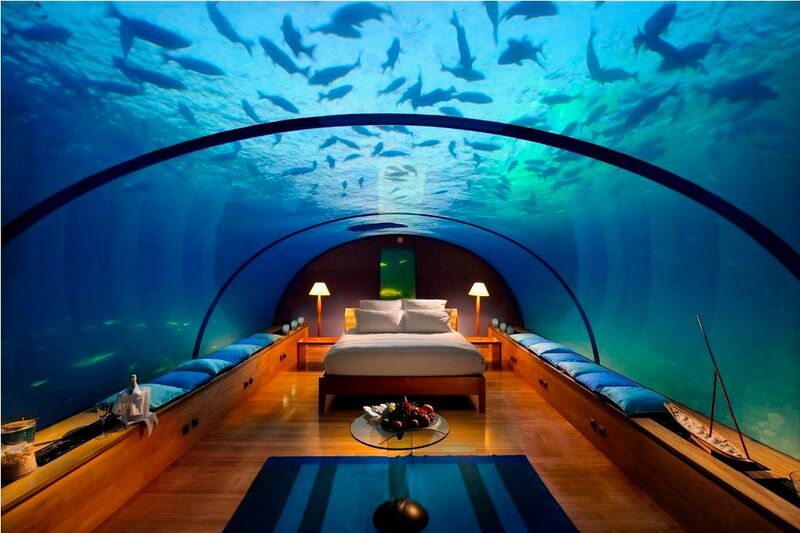 If you've ever wanted to go into a lagoon but don't know how to swim, staying at the Poseidon Undersea Resort in Fiji would be the perfect hotel for you. 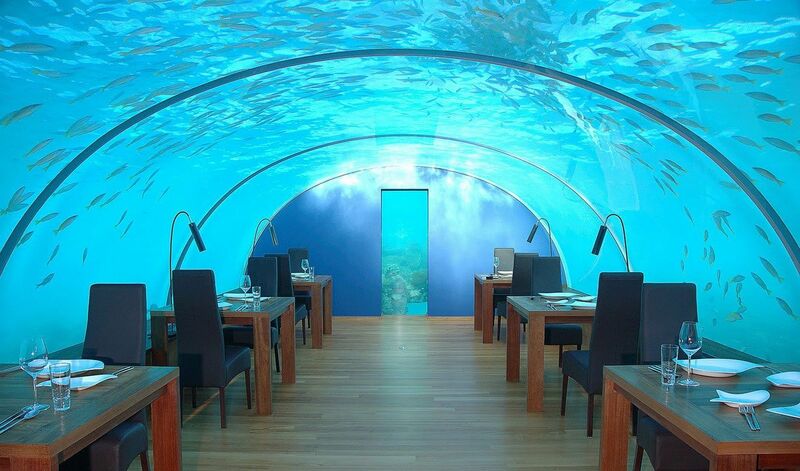 It's located a staggering 40 feet underwater and contains 24 large suits that become accessible just by taking an elevator. While in the hotel, guests are treated to the delightful view of the fish swimming outside their lodgings and can even feed them with just a push of a button. Along with the stunning room and board, the five-star luxury hotel also features a restaurant, bar, gym, and an underwater wedding chapel. If you want to stay at this resort, prepare to dish out $15,000 for a one-week package, which includes transportation, two nights in an underwater suite, scuba diving, and wine tasting.